The recycling plant in St. Petersburg. Separate waste collection and recycling is slowly catching on in Russia but still generates less revenue than conventional landfills. Some companies are trying to introduce green technologies, for example, recycling used plastic bottles. According to Greenpeace, Russia's landfills cover a total area equal to the size of Switzerland, which is more than 41,000 square kilometers. The situation, however, might soon improve. New amendments to the federal law, "On Production and Consumption Waste," take effect on Sept. 26. Each region will have to decide how to deal with waste -- to sort and recycle it, send it to a landfill, or incinerate it. Federal funding will depend on the implementation of such programs. "Over the past 30 years the country had no clear parameters to assess the waste situation," said Dmitry Artamonov, a Greenpeace official in Russia. "Now it will be possible to compare performance. This is an opportunity to evaluate the competence of officials and their willingness to work." Greenpeace recently ranked the regions based on their waste programs. The leaders in separate waste collection and recycling were the cities of Vladivostok, Vladimir, Yaroslavl, and Novosibirsk. The Plarus plant near Moscow is Russia's only facility that practices a bottle-to-bottle system. This means that the company creates new plastic bottles from used ones. You can endlessly recycle a bottle into another one. Coca-Cola Russia is one of the plant's biggest customers. Material for the production of recycled bottles is collected from all over the country, including Krasnodar and Crimea. "Recyclables from the Krasnodar region and Crimea are much cleaner," said the plant's chief technologist, Dmitry Shkadin. "There is never rain, mud, or black soil on them, which is not the case regarding bottles from central Russia. However, there may be stones." Shkadin said the bottles that the plant buys from suppliers for 25 rubles ($0.39) per kilogram are not acceptable for recycling in Europe because in Russia recyclables often contain food waste. In this case, such bottles not only smell bad, but are hardly recognizable by sorting equipment that determines the plastic's type and color with a laser and separates it into four color categories. Thus, the plant also has to rely on manual sorting. This makes the recycling process more expensive and complicated. In Russia, separate waste collection is not common. Moscow, for example, has a population of more than 12 million but there are only 300 locations where one can drop off recyclable rubbish. These include the CSKA and Spartak sports complexes, as well as sport clubs and hotels. So far, plastics from separate collection account for only 1 percent of the total recycled. Almost 90 percent of Moscow's garbage goes to landfills, 6 percent is incinerated, and only 4 percent is processed. To date, about 186,000 Russians have signed Greenpeace's petition for the introduction of separate waste collection and recycling in every Russian region. Recycling's growth in Russia is constrained by unprofitability. It's much more profitable for entrepreneurs to operate a landfill or an incineration plant, earning money for the storage of garbage. 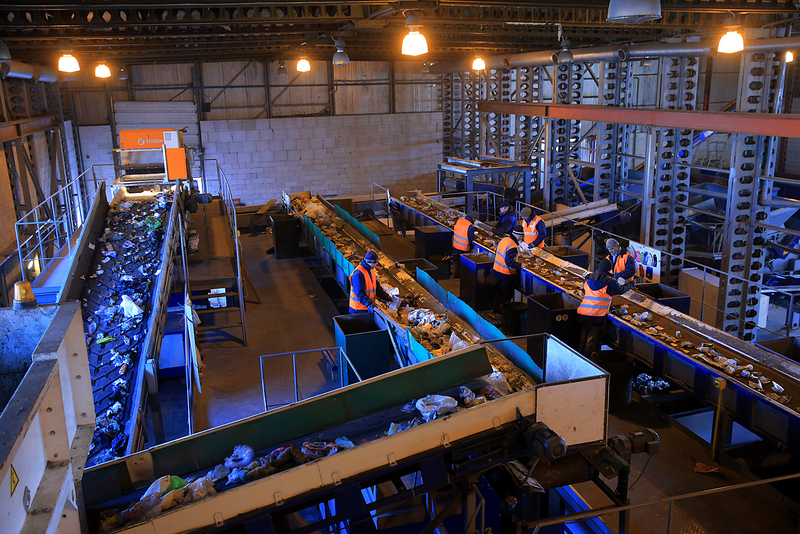 Recycling plants get their income almost exclusively from the sale of recycled materials. "If the recycler received at least half the fee paid to a landfill, the situation would be perfect," said Artamonov. "But currently, plants even buy recyclables from landfills."